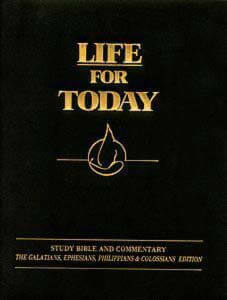 210 page spiral bound book This edition includes the epistles to the Galatians, Ephesians, Philippians, and Colossians. These letters give us some of the most wonderful passages of scripture that are in the Bible. In Galatians, Paul "takes the gloves off" and becomes nearly brutal in his criticism of those who would pervert the Gospel of Christ. In Ephesians, Paul reveals the benefits and responsibilities of being "in Christ." Paul was writing from prison when he wrote the book of Philippians, yet there is more mention of the words "joy" and "rejoice" than in any of his other writings. In that letter he shows us the freedom of being dead to ourselves. Paul's letter to the Colossians is similar to his letter to the Ephesians, in that he expounds on the riches of Christ in us, the hope of glory. 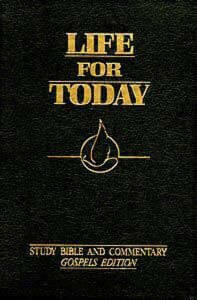 Please note, the font used in this Study Bible is quite small.